In the day since the Knesset announced that it would be holding early elections, numerous polling organizations conducted polls across the voter spectrum in Israel to determine where the public stand now, some 104 days prior to the set election date of April 9th. The first poll to come out and published by Channel two news was conducted by Mina Tzemach and Meno Geva. According to this poll, Prime Minister Binyamin Netanyahu’s party would maintain their current strength with 29 sets in the Knesset. The closest rival according to the poll would be a new party founded by Benny Gantz that would garner 16 seats. The Joint Arab List would shrink slightly and come away with 12 seats and Yesh Atid and the Zionist Union would come away with 11 a piece. The Jewish Home party in its current makeup with the National Union party running a joint list would gain a seat and end up with 9 total. The Charedi parties of UTJ would receive 7 and Shas would receive five. Yisrael Beiteinu would receive six seats, and Meretz and Kulanu would receive five each. The new party formed by Orly Levy-Abekasis would pass the threshold and take four seats, whereas Eli Yishai’s Yachad party would once again fall short. 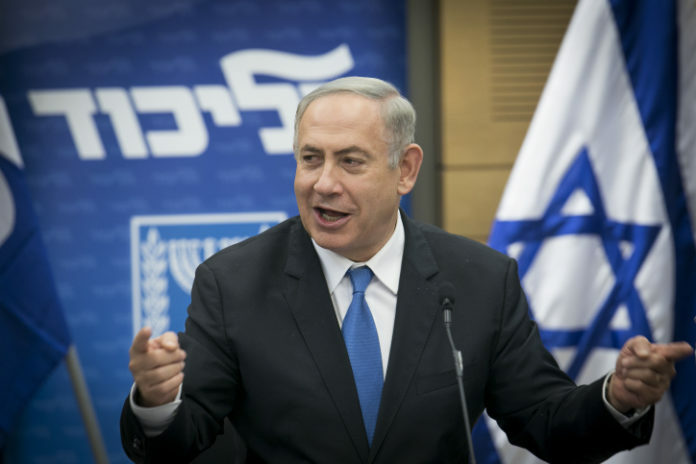 The survey also polled Israelis on whether or not they would like to see Netanyahu continue a Prime Minister and a small majority of 52 percent answered int he negative. Camille Fox also conducted a poll in which the number looked a bit different for the smaller parties, but the same for the Likud give or take a seat. Likud 30, Yesh Atid 15, Joint Arab List 12, Zionist Union 12, Jewish Home 10, Orly Levy-Abekasis 8, Yisrael Beiteinu 7, UTJ 7, Meretz 7, Shas 6, and Kulanu 6. Likud 30, Yesh Atid 13, Joint Arab List 13, Jewish Home 12, Zionist Union 10, Benny Gantz 10, UTJ 7, Meretz 7, Kulanu 6, Shas 4, Yisrael Beiteinu 4, Orly Levi-Abekasis 4. In spite of the fact that there are still more than three months to elections, the polls are already making waves in the upper echelons of various parties. Channel Ten news reported that due to the polls, and the Zionist Union’s expected drastic downfall therein, Avi Gabbai, head of the Zionist Union faction, offered Benny Gantz the option to be the head of the Zionist Union if he would join forces with the party in an effort to bring them more voters. Ganz, who according to all poll will do better on his own than if he would join with the Zionist Union, chose to refuse the offer.